Are Some Patients Allergic to Essure Birth Control Devices? Earlier this year, the U.S. Food and Drug Administration (FDA) announced that pharmaceutical giant Bayer would stop selling its Essure permanent birth control devices at the end of 2018. Bayer’s move came after the FDA issued an order in April 2018 restricting the sale of Essure based on thousands of consumer complaints. The FDA noted that the “adverse events” associated with Essure included chronic pain, unwanted pregnancy, and internal damage resulting from the device itself. There are multiple Essure-related lawsuits pending throughout the country. 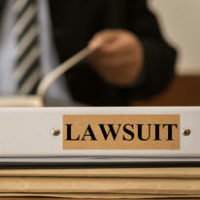 In addition to claims against Bayer itself for manufacturing a dangerous and defective medical device, some patients have also sued their own physicians for complications arising from the implantation or removal of Essure. Not all of these lawsuits have proven successful, but they still provide useful illustrations of the types of problems women continue to face because of Essure. For example, a state appeals court in New York recently upheld a jury verdict in favor of a doctor who performed a botched Essure procedure on a patient. The issue in this case actually related to the fact that Essure devices contain nickel. This might not sound alarming, but the truth is many people–and many women, in particular–are allergic to nickel. The defendant did not test the plaintiff for a nickel allergy prior to implanting two Essure devices in her Fallopian tubes. Only after the procedure did the plaintiff learn of her nickel allergy. She subsequently sued the defendant for medical malpractice under New York law. As mentioned above, the jury ruled in favor of the defendant. The Appellate Division, Second Department, of the New York Supreme Court affirmed the verdict in a November 7, 2018, order. The court explained the jury’s verdict “was not against the weight of the evidence.” At trial, the plaintiff testified that she informed the defendant prior to surgery that she “had experienced a reaction to non-gold jewelry and belt buckles as a child,” which strongly suggested she might have a nickel allergy. Nevertheless, the appellate court said the jury was allowed to “credit the defendant’s testimony to the contrary” on this point. And in any event, the jury also heard evidence from expert witnesses that the normal standard of care did not require the defendant, an OB-GYN, to test patients for nickel allergies. This is just one case, and the outcome should not discourage you from coming forward if you, or a member of your family, has suffered serious complications related to Essure. The reality is that even when medical devices are known to cause serious harm, manufacturers and doctors will spare no expense in an attempt to avoid legal liability. That is why it is critical to work with an experienced Tennessee Essure lawsuit attorney who can review your case and advise you on the best course of action. Contact Fox & Farley, Attorneys at Law, to schedule a free consultation today with one of our qualified defective medical device lawyers.